Our latest class of Hall of Famers will be inducted on May 4th, 2019 at the Spitzer Center at Lorain County Community College. Ticket reservations are now available by clicking on the menu to the right of this page. Reservations $35.00. Congratulations to our newest class. Meet-N-Greet at the Polish Club on Friday the 3rd – Cost $10. 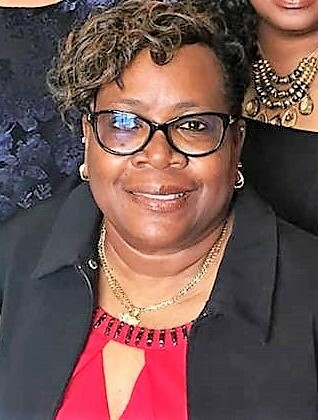 Tony Godbolt, Jr., Danny Mitcheff, Tammy Porter, Dasan Robinson and Kelly Ruth were selected to be inducted into the Elyria Sports Hall of Fame along with the 1979 Elyria High Football team. Joe “Jo Jo” Guyeska will receive the Hall of Fame’s Distinguished Service Award. Congratulations to the Class of 2019. 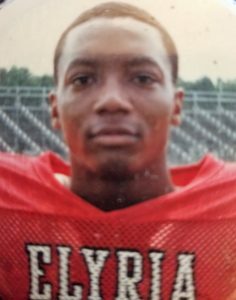 Elyria High’s football legacy includes a wealth of great tailbacks. One of the greatest was Tony Godbolt, Jr., who followed the footsteps of his father Tony Sr. at Elyria High. Tony still holds the school record for a single game rushing total of 303 yards. He did that against Vermilion during the 1989 season. During that game, Tony scored twice — one run going 99 yards — one of three Elyria High backs to do that in history. His name is included on the OHSAA website with that mark that cannot be broken. 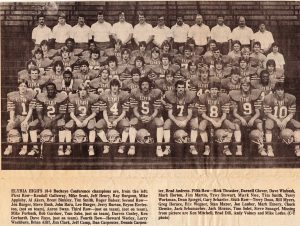 Tony won the prestigious Lorain County Golden Helmet Award following his senior season in 1989 where he rushed for 1,472 yards. That total is still among the top five seasons in EHS history. He finished with 2,829 career yards and remains in the top ten of Elyria High all-time greats. He becomes the third father-son combination to be honored by the ESHOF joining the Mrukowski’s — Frank and Bill — and the Jones’ — Doug and Greg. His father — Tony Sr. — was inducted in 2002. Elyria High’s wrestling program is one of the strongest in the state of Ohio with many individual state champions. Dan Mitcheff was one of the best. In 2005, Mitcheff won the state crown at 119 pounds and had a career record of 132-13. He qualified for the state tournament three times. At Kent State, Mitcheff qualified for the NCAA nationals four times and was a Mid-American Conference finalist four years. He remains among the best in Kent State history with his 131 wins for the Golden Flashes, twice winning 30 matches in a single season (30-9 in 2007-08 and 34-6 in 2009-10). In 2010, Mitcheff was named Mid-American Conference Wrestler of the Year and was named the outstanding wrestler at the MAC championships in both his junior and senior seasons. He was an All-American in 2010. 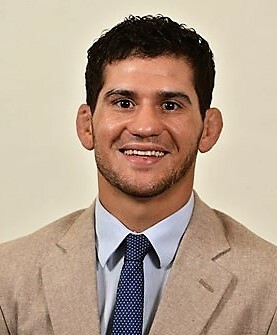 After graduating from Kent State, he continued wrestling freestyle competition for six years, placing five times at the US Nationals and once at the US World Team Trials. He became an assistant coach at Kent State in 2016 and was previously a full-time assistant coach at Army and a volunteer assistant at Penn and Cleveland State. Mitcheff was inducted into Kent’s Varsity “K” Athletics Hall of Fame in 2017. In 1978, Tammy Porter not only was a member of the ESHOF’s 880-medley state championship relay team but she won the 100-yard dash at the state track meet in Columbus. She edged Brenda Kazinec of Brush for the individual title with a time of 11.0. Porter said her parents – John and Grace Porter – never missed a meet. Porter had specialized in the 220 sprint until her senior year but up to her senior season, she regularly contributed to the relay teams and the long jump. Her relay teammates – Gloria Barbee, Tina Brown and Betty Halliburton – all encouraged her to compete in the 100. Jackie Below, her coach, had challenged her to a “hall-way” race on the third floor of Elyria High School. It was there that she opened the eyes of her coach to compete in the 100-yard event. She also gives a lot of credit to the late Tom Below for sticking with her. She was previously inducted into the Lorain County Track and Field Hall of Fame in 2013. She was a six-time All-Ohio track sprinter. At the Class AAA meet, Porter set the state meet mark with her 10.8 finish in the 100 yard dash. Porter also played basketball at EHS and was named the team’s outstanding defensive player in 1978. Dasan Robinson is one of the most-gifted soccer players Elyria High has ever had. Robinson becomes the first EHS soccer grad to be honored into the Elyria Sports Hall of Fame. 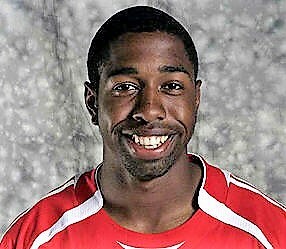 A 2002 graduate of Elyria High, Robinson scored 21 goals and had 10 assists in 10 games as a senior. He was 2nd team All-Ohio as both a junior and senior along with All-County, All-LEL, and all-Greater Cleveland. He was rewarded with a scholarship to Dayton University where he was a four-year starter for the Flyers. As a defensive player, he still managed to score six goals and had 13 assists. Robinson was drafted in the second round, 22nd overall, by the Chicago Fire in the 2006 MLS supplemental draft. He went on play professionally in the Major League Soccer for the Chicago Fire from 2006-2011. He was traded to Toronto and later played for the Los Angeles Galaxy. Robinson was a member of the 2011 MLS Cup championship team. Elyria High’s volleyball program has always been one of the best in the state with many All-Ohio and Miss Volleyball players among its alumni. Kelly Ruth certainly ranks among the greatest. In 2005, Ruth won the Miss Volleyball award for Lorain County and was selected to the All-Ohio first team. She was the District Player-of-the-Year in 2005. In her three years on the varsity at Elyria High, the Pioneers were 68-11 and advanced to the regional finals twice. At the time of graduation, Ruth ranked 19th all-time in the Ohio state record book with 939 career kills and 413 kills in a season (2005). At EHS, she also lettered twice in softball and three times in basketball. At Xavier, Ruth excelled in the Atlantic 10 Conference. She was named Player-of-the-Week five times and led Xavier in kills (twice), blocks and digs for the season. In 2006, Ruth found her way to the starting lineup 16 times. In 2007, Ruth started in 32 of Xavier’s 35 matches, competing in 117 sets. She was twice named conference Player-of-the-Week. She was first for the team in digs with 434 and remains in the top 10 for that category in program history. In 2008. Ruth started all 31 matches, playing in 114 sets. She was twice named Atlantic 10 Player-of-the-Week as well as the All-Academic Conference team. She had a career-high 27 kills and a career high 24 digs against Fordham. She led the team with 316 digs. Imagine giving up just 15 points in a 10-game season. 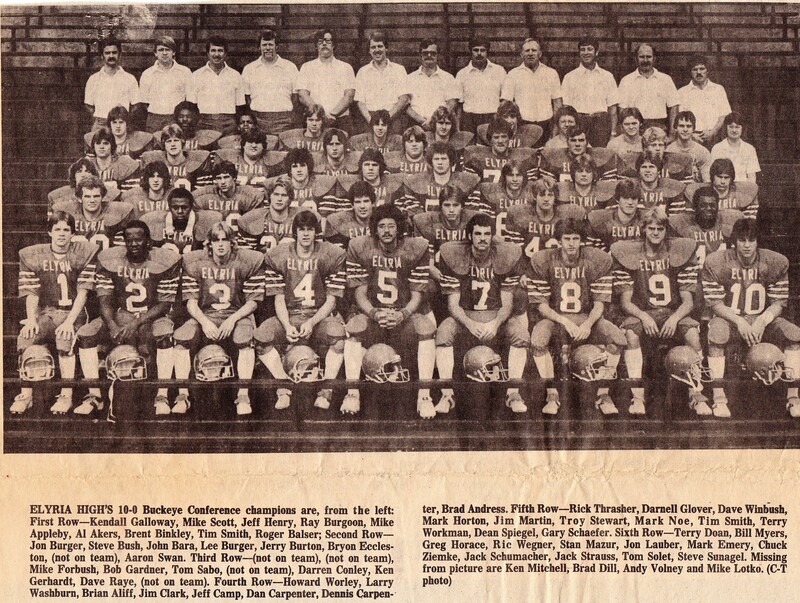 That best describes the undefeated, Buckeye Conference Champion Elyria Pioneers in 1979. Coach Terry Doan’s team shut out eight teams on its schedule — a record that still stands today. Elyria shut out its first seven opponents before Findlay broke the streak. Elyria had to scramble to win that game, 8-7. Findlay stunned the Pioneers with an 81-yard drive to open the game. It’s final game of the year against it’s biggest rival — Lorain –ended with Elyria on top, 9-8, with a late score with under five minutes to play. The Pioneers were led by Golden Helmet winner Jon Burger, who’s interception set up the winning field goal by Aaron Swan against Fremont in a 3-0 win. Defensive linemen Dennis and Dan Carpenter were leaders on defense. Dennis was named to the All-Ohio team along with defensive back and quarterback Mike Appleby. Elyria’s defense finished with 22 interceptions led by Appleby and Brent Binkley with five each. Elyria also forced 24 fumbles, recovering 13 and finished 4th in the final AP state ratings. The Pioneers needed the defense to do what they did. They scored only 117 points for the season. Since 1991, the Elyria Sports Hall of Fame has honored those individuals with the Distinguished Service Award for being active in the community in a variety of ways. This year’s honoree is Joe “Jo Jo” Guyeska. 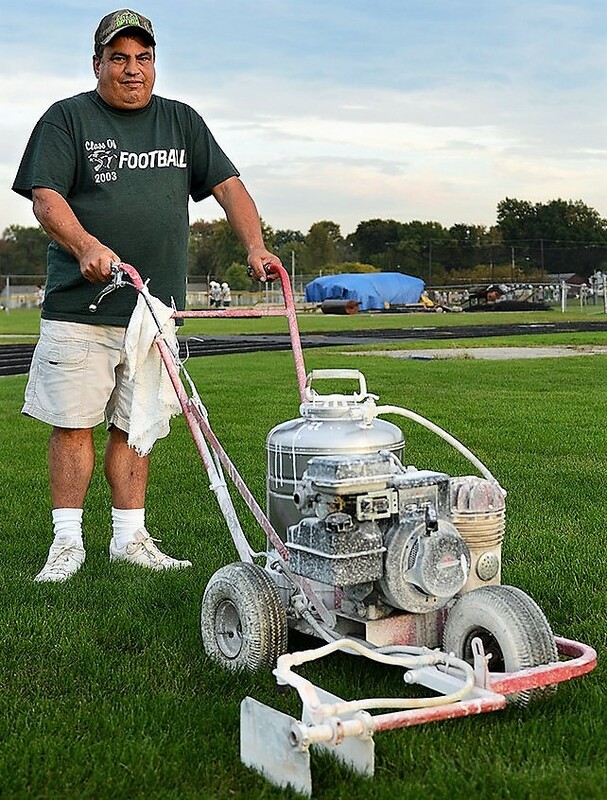 Ask anyone connected with the Elyria Catholic football program knows the tireless work of Jo Jo. He handles the equipment, paints the field, fills coolers and cleans up after games and practices with a great, friendly attitude. Reservations can be made by clicking on the menu on the right-hand side. The Elyria Sports Hall of Fame is now on FACEBOOK. Check us out and be a friend of the Elyria Sports Hall of Fame. 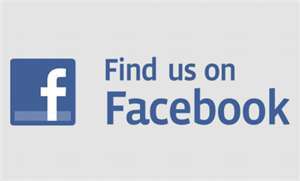 Simply type in our name and you'll see the latest information and pictures of our past classes. The Elyria Sports Hall of Fame's "Ring of Honor" had a tremendous first year with 31 past enshrinees participating in generously donating to the scholarship fund. Pull up the News Section of our web site for more details..
Click here to purchase tickets to the 48th Annual ESHOF Induction Banquet.